Determining the cause of pink eye or conjunctivitis is now a lot easier than it was before, thanks to point-of-care testing methods. 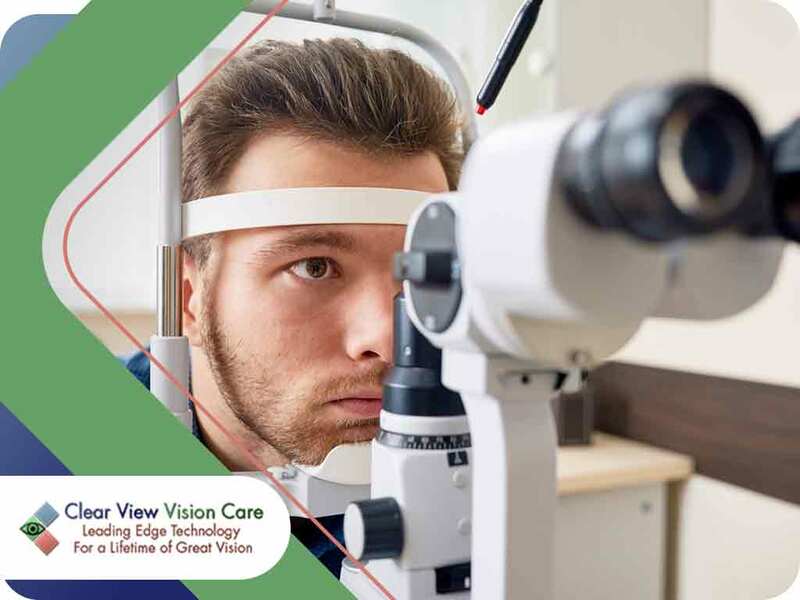 Read on as your vision therapy and eye care professionals from Clear View Vision Care discuss them further in today’s blog. In the past, it could take hours or even days before you could obtain the result of a laboratory test for pink eye. The doctor wouldn’t prescribe treatment without such information available. Fortunately, developments in the field of medical technology have made it easier for today’s practitioners to detect these causes in a more accurate and timely manner. When you visit our eye doctor for pink eye, you will undergo either one of the two point-of-care tests that we provide. One is the RPS Adeno Detector, a quick in-office test that ensures the right diagnosis and treatment option to protect your eyes. This way, you eliminate the unnecessary antibiotic prescriptions, reduce complications, and avoid the spread of infections. The other test is InflammaDry, which requires no additional equipment for interpreting results. It detects elevated levels of MMP-9, an inflammatory marker that occurs in the tears of patients with dry eye, a symptom of conjunctivitis. The doctor will take tear fluid samples from your affected conjunctiva. These point-of-care testing procedures can help us learn the type of conjunctivitis you may have. The viral type is contagious with no available treatments. The bacterial type involves the use of prescription eye drops or ointment to alleviate symptoms. Antihistamine drops are for allergic conjunctivitis. Turn to Clear View Vision Care when you have itchy, bloodshot eyes. Our testing can be done right in the office on your first visit. We also provide other eye care services, including orthokeratology, eye exams and treatment options for dry eye. Call us at (520) 394-6111 for more information. You can also fill out our contact form to schedule an appointment. We serve residents of Tucson, AZ.